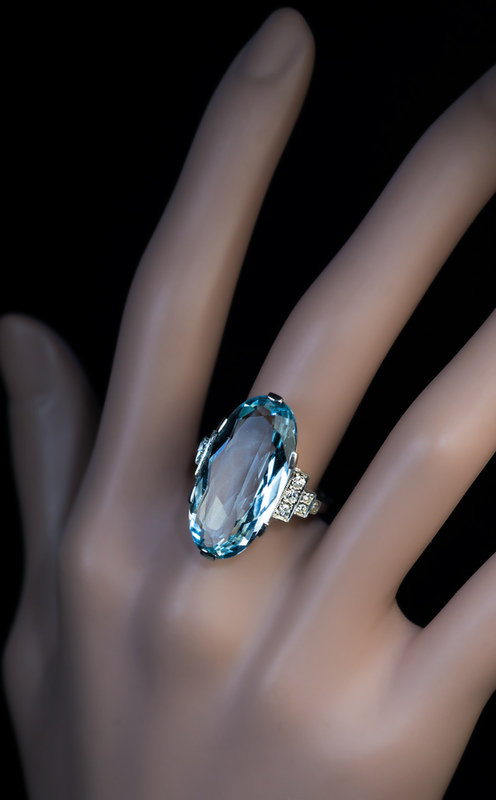 This Art Deco era vintage white 14K gold ring features a sparkling oval cut aquamarine flanked by diamond-set stepped shoulders. 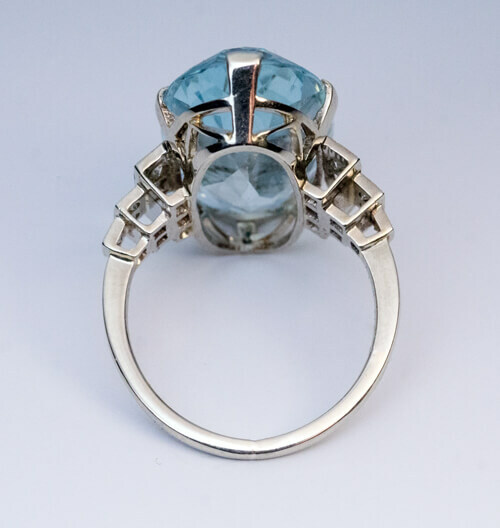 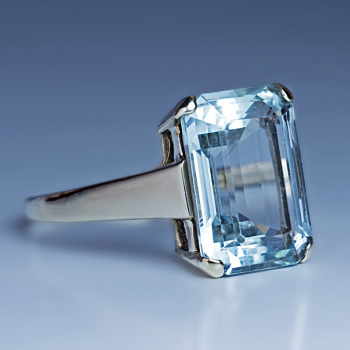 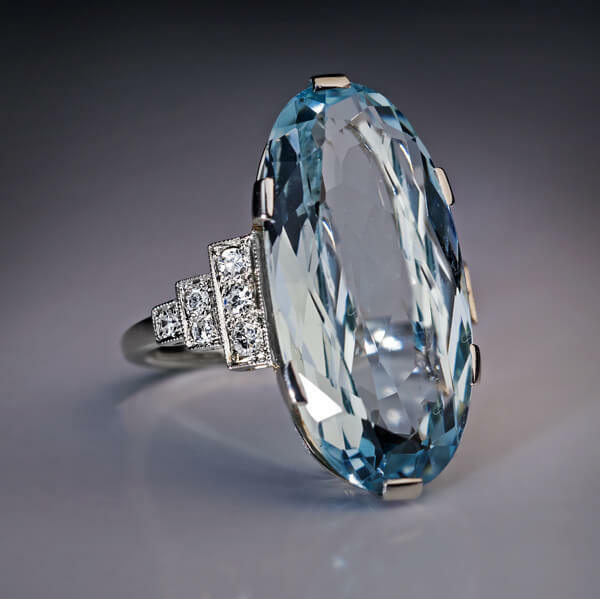 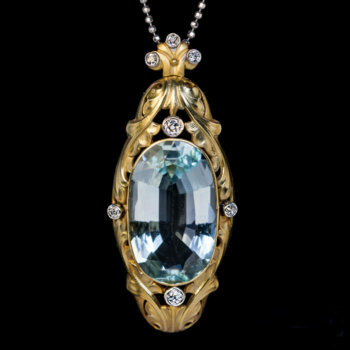 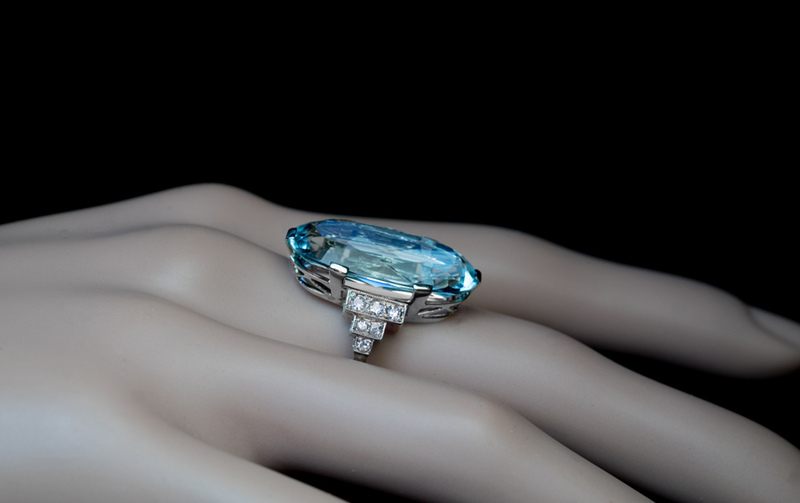 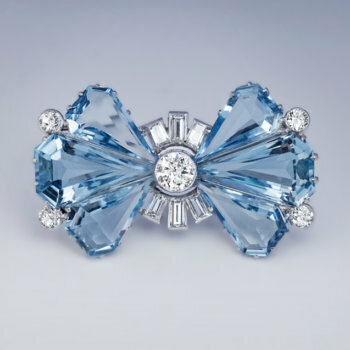 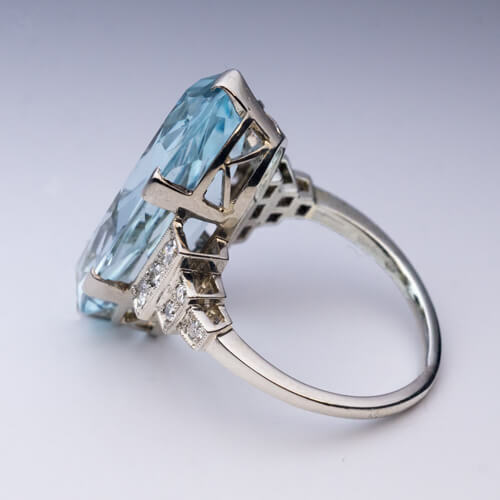 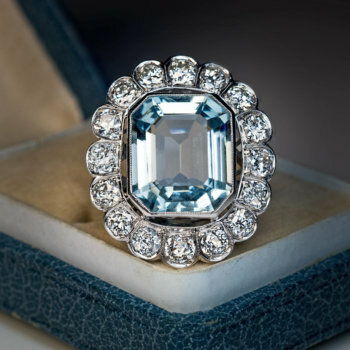 The aquamarine measures 23.6 x 12.1 x 6.4 mm and is approximately 10.02 ct. 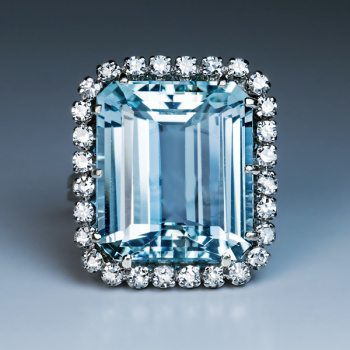 Estimated total diamond weight is 0.26 ct.